ActionFX is a collection of visual effects templates for Premiere Pro. It includes a set of stylish water, fire, and smoke-themed visual effects you can use for title reveals, logo reveals, and scene transitions. This Premiere Pro template is perfect for creating a promotional video showing a text message conversation between two people. You’ll be able to easily customize the template to add your own text as well. A collection of hand-drawn lines that dance around on the screen. You can use these Premiere Pro templates to create title reveals and even logo and product reveals. Paper is a unique and animated typeface for Premiere Pro. This template allows you to create stylishly animated titles and text that will make your videos look more professional. It includes the complete alphabet, numbers, symbol, and it’s available in 4K Resolution. This set of groovy intro and opening scenes pack allows you to make title reveals and video openers using retro-themed designs. It includes 11 different intros in 4K resolution. If you’re looking for a cool effect to make a title reveal scene for a technology-themed video, this Premiere Pro template will come in handy. It features a cool glitch effect with a minimalist design. This is an easy to use slideshow template for Premiere Pro. Using this template you can make a stylish animated slideshow of images or short video clips. It’s available in Full HD resolution. This creative template will allow you to make effective and attractive Instagram Story videos to promote your products and brands on the social network. You’ll need Premiere Pro CC 2018 or higher to edit this template. A stylish video opener scene with an upbeat vibe. This template is easily customizable and it comes in Full HD resolution. Another Premiere Pro template for making a video opening scene. This template features an urban-themed design and scenes. Creative Process is a collection of flat design inspired concept scenes with animated objects. It’s ideal for crafting scenes for your videos or make video covers for your Facebook page. This bundle of Premiere Pro templates is perfect for making simple explainer videos. It includes a set of scenes featuring boards, signs, and animations that allows you to show your messages in a creative way. Liquid FX is a set of motion graphics effects you can use to create title reveals and opening scenes. It includes 22 shape animations, 120 animated strokes, and 150 animated splashes. With this collection of adorable and creative 3D people animations, you’ll be able to create more attractive and effective scenes and titles for your promotional and branding videos. This is a bundle of Premiere Pro templates made specifically for YouTubers. It includes 20 logo reveals, 20 lower thirds, 10 titles, 5 end cards, and lots of other templates you’ll need to create a professional YouTube channel. Another professionally designed Premiere Pro template for YouTube videos. This template will be useful for making end cards for your videos to encourage viewers to subscribe to your channel. 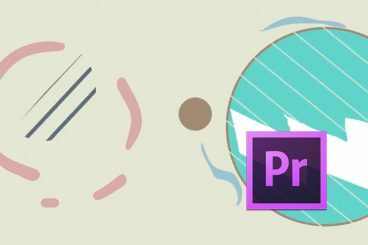 A collection of animated icons for Premiere Pro. These animated icons will help you create more creative promotional and business videos. This is a collection of transition animations that feature creative slicing designs. This template is available in Full HD resolution. A modern and creative title reveal scene that allows you to open the video with an explosion. The scene features a realistic explosion effect rendered in 3D. This is an image or video slideshow template for Premiere Pro. It features modern transition effects and stylish parallax effects for making an attraction slideshow video. A collection of minimalist and modern title scenes for Premiere Pro. This bundle includes 16 different title scenes with various designs you can use for your own videos. This is a collection of transition effects that feature stylish and creative liquid forms of designs. It will allow you to make more creative scene transitions that are also more entertaining. This templates bundle includes 16 unique lower thirds for adding a watermark or branding to your videos. Lovely Ink is a modern slideshow template for Premiere Pro. It features a romantic layout design, making it perfect for wedding and valentine’s day themed videos. A massive bundle of animated icons for Premiere Pro. This template is perfect for all kinds of branding and promotional videos. This Premiere Pro template will allow you to create a professional and 3D-like title scene for your videos. It’s perfect for YouTube openers as well. A collection of animated titles, badges, and labels that you can easily customize to your preference. It Includes 25 different Premiere Pro templates. Create stylish and attractive quote videos using this Premiere Pro template. It’s ideal for making short videos for Instagram and Facebook. This is a collection of colorful and creative visual effects that feature abstract designs. These Premiere Pro templates are useful for making title and logo reveal scenes. This Premiere Pro template will allow you to make creative visual stories to showcase your images and video clips as an animated slideshow. It comes with 2 different versions featuring 9 and 17 image placeholders. A bundle of 102 social media-themed animation scenes you can use to promote your social media channels in your videos. This collection of Premiere Pro templates include high-quality title scenes in 4K resolutions. It comes with a total of 26 templates that are compatible with Premiere Pro CC 2018 and higher. If you’re working on a social media promotional campaign, be sure to check out our social media kits and templates collection for more awesome goodies. Our feature covers what Premiere Pro templates are and how to use them, along with collections of our favorite Premiere Pro templates for all manner of different uses and scenarios.